When Mamma was little, our family used to go on MMTs - a Magical Mystery Tour. It was either that Mum or Dad were lost OR they were just winging it for a day out of the house. We have a feeling the tradition has been passed on. 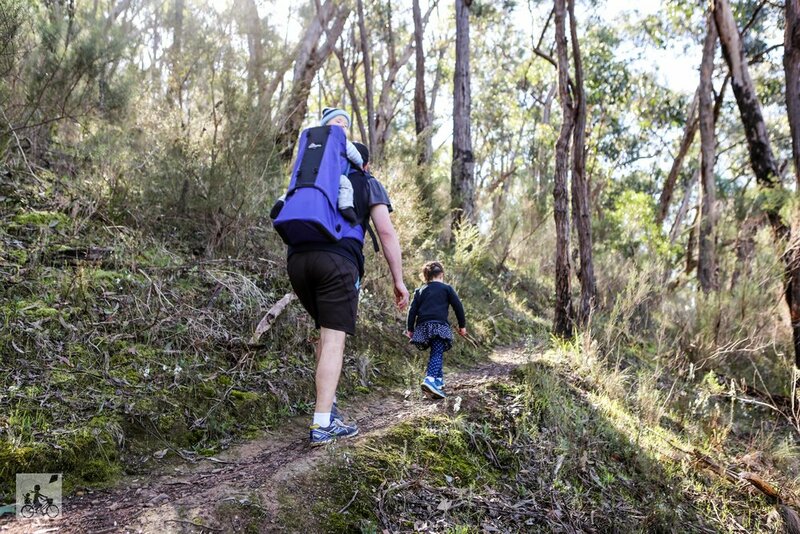 Case in point - our discovery of Whipstick Gully and the Gold Heritage Walk. 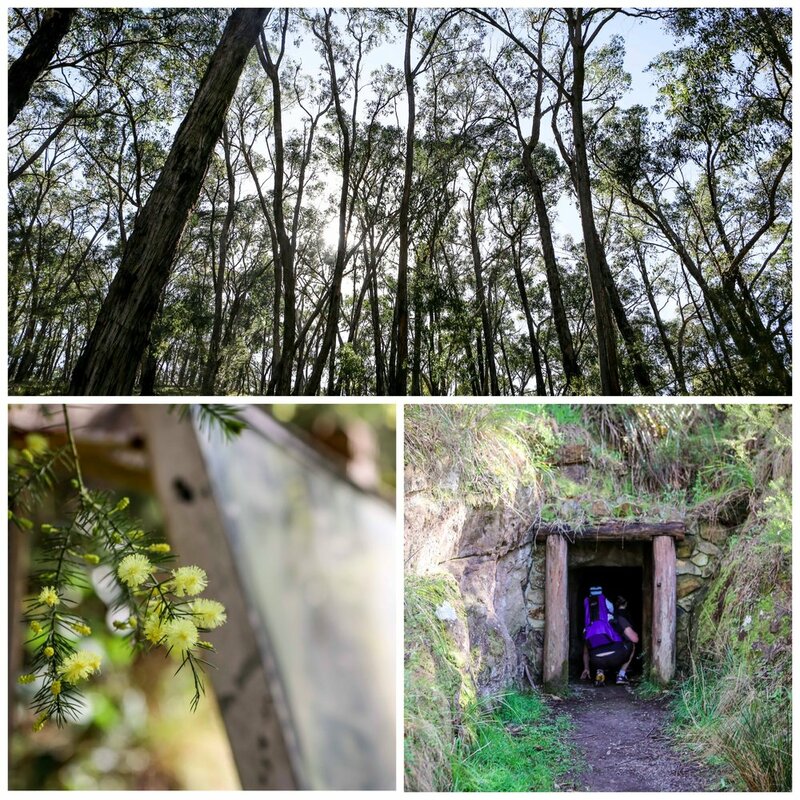 After following a brown tourist sign from the Main Street of Warrandyte one morning, we found ourselves in the tranquil bushland that has great significance in the history of this gold mining town. Back in 1850s gold was found in these hills, and for the adventurous family, you can walk where the pioneers once trod and visit a handful of sites along the way. You can even walk a little while into Geraghty’s Mine! The trail isn’t your Sunday stroll. Being a gully, there are plenty of ups and downs along the rough rocking trail and I wouldn’t dreaming of attempting this one with a pram. I would also highly recommend you use the Park Victoria Notes for the map as the signage is not what it once was. For example, the loop does do a dog leg along a wooden bridge before reaching some steps and becoming a bit of a goat track before rejoining the main track. Despite its challenges, the area is beautiful, especially for a morning adventure. The birds will provide the soundtrack (or your 4 year old) and it is a great way to explore something pretty significant about our eastie heritage with the family. Mamma's special mentions: No doubt you will need to refuel after this trek. Mamma highly recommends Now and Not Yet on Yarra Street for a great feed!